The trailer has me wondering if there is an intelligence behind the Kaiju? Sure, the dimensional rift at the bottom of the Pacific could be entirely natural, and Kaiju could be some other world's equivalent of bears and coyotes wandering into earth. But the trailer hints at the possibility that the Kaiju invasion is deliberate and they expected earth to fall. So...aliens behind the Kaiju warmachines? Are the Kaiju themselves intelligent and planning this out? 5 Responses to What's behind the Kaiju? 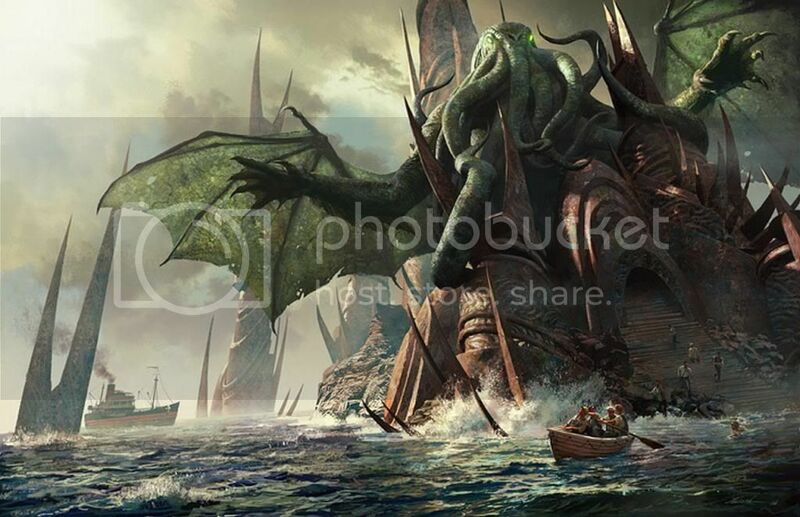 Hey, welcome to the Pacific Rim Forum [b]Great Cthulhu[/b]! Great question. I think there is an agenda with the Kaiju regarding the invasion of Earth, for sure. As far as how intelligent they are, not sure. Could Aliens be controlling them and using them as their tools of destruction? It's possible, nothing yet has told us that can't be a possibility. My opinion - the Kaiju need something Earth offers - Water which they use to either grow larger, power their "abilities" or simply because, they're thirsty. Haha But the fact that the trailer and film title all make major references to water, make me think it might play a role in the reason why these giant creatures want our planet so bad. haha, very awesome Mothman, it's a cool pic for sure. Water is as good a reason as any, Chris! Its worked for other alien invasion films from Independence Day to 'V' to LA Battlefield! It is a good avatar! Little too large for detail though. 66% of the Earth's surface is water. Most nations have reduced both recon satellites and recon aircraft, too. Therefore , Godzilla simply appearing undetected in Tokyo Bay is more plausible today than it was during the years 1962-1993.